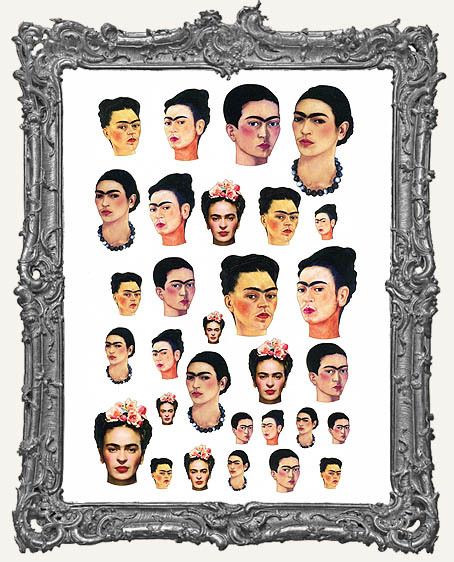 * Set of 30 fantastic Frida Head Paper Cuts. * There are 5 different Fridas and 4 different sizes. 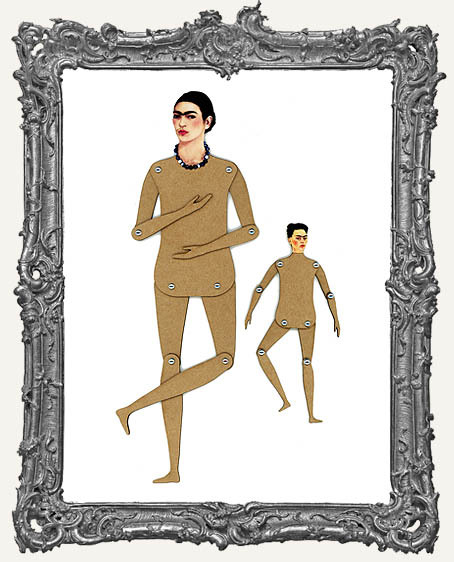 * The sizes include Mini, Small, Medium, and Large and they are perfect for making Art Dolls! The sizes were made to coordinate with our Doll Kits (sold separately). 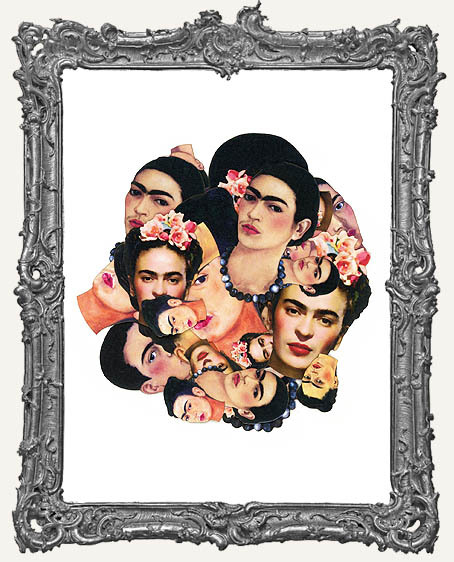 The Medium Frida Heads will fit our Medium Dolls for example. * The quantity of each size includes Mini (10), Small (5), Medium (10), and Large (5). The heads range in size from approximately 1" - 3".